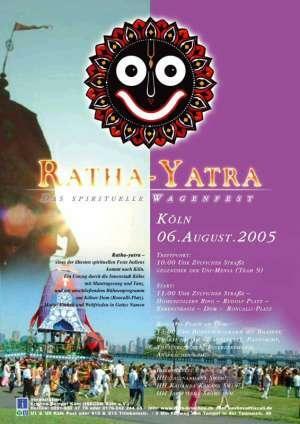 The 2005 Cologne Ratha-yatra Parade and World Peace Festival will take place for the second time on Saturday August 6, in Cologne, Germany. The procession of Lord Jagannatha’s chariot starts at 10 am at Zuelpichstrasse, in central Cologne. The parade will be followed by a spectacular Jagannatha World Peace Festival, celebrated from 3 pm to 8 pm, at the Koelner Dom, the very center of Cologne.